Very interested in fixing the problem, was here to address our concerns very quickly and explained the process in great detail, very professional and easy to work with. The service person was very thorough and professional. We would recommend Rose without a doubt. Rose Pestcontrol Service are great and effective. As usual, my service call was excellent. They are always on time, pleasant, and efficient. They called me back within 10 minutes of talking to someone on the live chat and were able to come out the next day. The technician was very thorough and proactive in tackling the problem. Quick response . Very professional. Friendly and courteous . Would recommend them. We have had a bad experience with our treatment since day one. Our technician did not treat our home correctly, and on his last visit he did not notify us of his findings, and call us like he promised. I felt our overall experience with him was not reassuring and untrustworthy. Our last treatment did not smell the chemicals like we had in the past. Don't know if he did everything he was suppose too. Very disappointed with how we were treated with all the money we spent with this company. Rose has excellent service. I would recent do them to everyone. Useful and informative. Very pleasant technician. Mike was courteous, professional and knowledgeable. Excellent service, friendly. Assisted with pest issue outside. Mike is very efficient. He says does a great job. All involved in this company are courteous & do things in a professional manner. It is a pleasure to deal with them & I would definitely recommend them to my friends. The technician is always very friendly helpful and professional. Dave always responds quickly when I contact him. He always gives us helpful advise on how to eliminate pests in and around our plant. 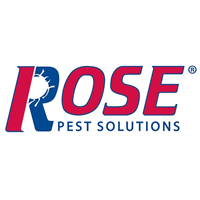 Since we have had Rose Pest Solutions we have had no problems with pests in the house. They are very thorough with their inspections and treatments. When Mike arrived on site he was friendly and let me know his plan. He was thorough in his explanation. PLAIN AND SIMPLE, RORY ROCKS. FOR MY NEXT SERVICE, I HOPE TO GET HIM. VERY KNOWLEDGEABLE, FRIENDLY, AND EFFICIENT. HE WENT OUT OF HIS WAY TO MAKE SURE I WAS SATISFIED. Our service technician, Mike, has been extremely helpful and informative whenever we have talked to him about a problem. Good. Mike was knowledgable and had done research re: cicada killers before coming out. He came earlier and called to make sure that would work for us. It has only been a few days but definite improvement. Cost was a bit higher than another quote but will give this a chance and see how it works. Mike, the technician was able to see us earlier than our scheduled time. He was very knowledgeable about the type of wasps that are building nests all over our property. My technician Dan was extremely responsive and customer service oriented. He was available to answer all my questions. The service was completed on June 23rd. I am concerned, however, that the application was not that effective because I am still getting bites which is alarming. A follow up is scheduled for this Friday, the 7th and am hoping I will see better results this time around. This is our 1st time getting serviced and the tech Mark who came out was very friendly and knows a lot about what he's doing. Very pleased. We received excellent service and our technician was extremely professional. My experience working with Steve Sutton was world class. Not only did he do a top-notch job investigating the issue and developing a solution , but he made sure his findings and how his proposed solution would address the problem were very clear to me. The technician was professional. The jury is still out whether the application did the job. Servicer was thorough explained the process. I have been with Rose Pest Cointrol over 10 years and am very satisfied. They are always very professional and prompt when needed. Thank you for your service. Mike is awesome. Actually, everyone from Rose is nice to us. Thank you! First service, gen. Pests and would definitely recommend! Technician was very friendly, personable, and professional. great service, like the product, glad I purchased the service. Byron did a great job! On time and very professional. I highly recommend them. The technician was very thorough, explained what he was doing and why. Would definitely use again. This the first time that I used Rose Pest Solutions. It was recommended by a realtor. The person on the call was very professional and knowledgeable about the issue that I was experiencing. She made recommendations and allowed me to make the final decision. The service was done on the same day as I made the call. The technician was on time and completed the work in a timely manner. He was very knowledgeable and explained each step in detail as to the work that he would be performing.